Here is a nice video featuring the Goldelico OpenPhoenux (GTA04), which is the successor of the Openmoko Freerunner (GTA02). The video shows the GTA04 board booting and running the QtMoko GNU/Linux distribution which is based upon Debian GNU/Linux and optimized for smartphone usage. Furthermore it shows an early version of the 3D printed GTA04 case, which can easily be modified to everyones needs and ordered at Shapeways. If you’re interresed in this awesome project, please have a look at its project page www.gta04.org and take part in the GTA04 Group Buy Tour. Openmoko/Goldelico GTA04 is available for the masses! Goldelico GTA04 – free your phone! with an announcement until we can really answer all questions. Now, we think we can. can even ship out some boards before Christmas. nobody is pretending to protect you from yourself! to your wishes for future upgrades and trying to fulfill them. in the range of the GTA02. Unfortunately, we can't fulfill this specific wish. compared to reports from iSuppli). strategy from an economical point of view. within days. This offer is also good for getting samples for projects. that we reach a certain number of units before we can start production. is also a rebate for the first 100 early bookings. you can save some more money. handhelds and tablets based on the GTA04 design. question is not amongst them, please ask. build samples of a GTA04 but also go into perpetual mass production. Q: Do I need a GTA01 or GTA02? to take all missing parts from an existing GTA01 or GTA02. it is not a handheld portable computer with phone functionality. and samples have been shown recently (e.g. wooden case). Q: Does the device support the US frequencies? Q: Does it have FCC and CE approvals? the CE emmission tests, that it does not produce harmful interferences. We are just missing the CE ESD and safety tests. Q: Why do I have to wait so long if I participate in the group buy? to collect enough money before we can order chips and components. Q: Will there be variants? variant (e.g. without sensors) and a high-end variant. Q: Does it work with a GTA01 case? GTA02 has two. 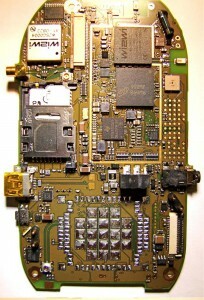 One was sacrificed in the GTA02 to provide WLAN. Q: Do you have complete phones? quantity within the preorder window? A: Yes. 100% (less money transfer cost). Q: What is the status of the software? Debian/LXDE rootfs, but this does not comprise a phone software. ripe but on good progress. Q: Is there driver support for every bit and piece of the hardware? FM radio. If you can support the development, please help! detail. So they may not work at all. Q: Where are the schematics? Adopter) to the GTA04A4 board. Q: Do you have spare components like case, antenna etc.? A: We can't buy or produce these parts and have no steady supply. We will try to get some replacements, but can't promise. Q: Is it possible to downgrade from the GTA04 to GTA02? Q: Do I need a debug board? RS232 cable to boot and reconfigure NAND flash parameters. Q: I want to use it in a project and need 50, 100, 500, 1000 units. on quantities, we can develop and produce variants. 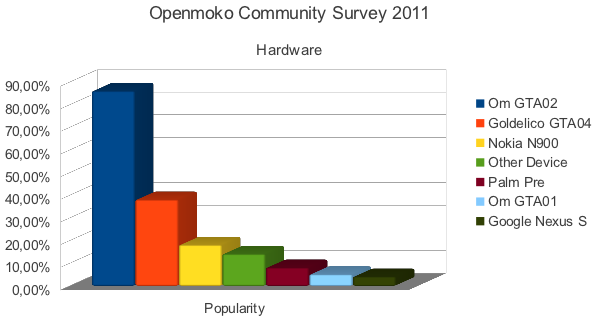 known that the Openmoko project did lift off again. Q: I don't feel comfortable to replace the motherboard myself. you at a small fee. Q: I am a reseller. How can I get devices? Q: My country is not listed in your shop. a re-export permission. This is all beyond our capabilites. we can directly serve and you manage the export yourself.